For more information download the CE-15-150 brochure. This brand new CE Series is available to buy from Hydroblast at excellent value for money. Constructed in 2017, it features an operating pressure of 150 bar and comes with a 12 month manufacturer’s guarantee. 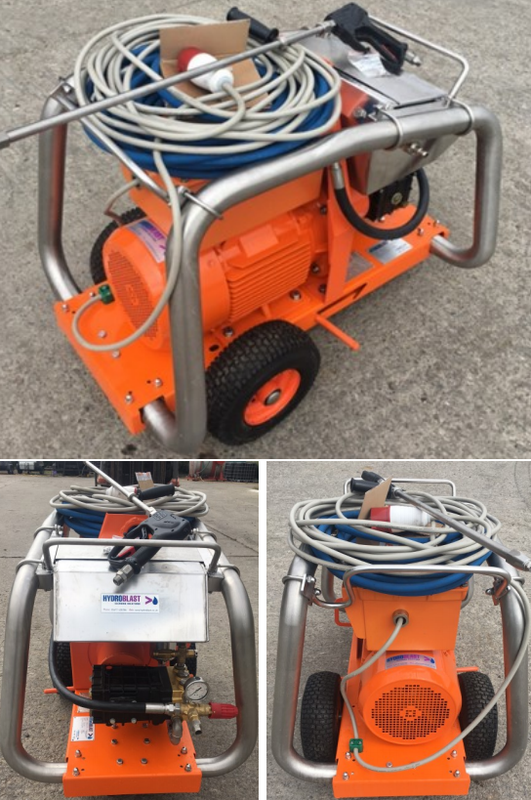 The CE-15-150 Jet Washer is an electric, 3 phase unit with a range of equipment and a 30 litre water tank. Read our product specification for more information.